Speaking in his role as a pundit for broadcaster beIN Sports during the Asian Cup on Saturday, the Portuguese also said rival Premier League managers Pep Guardiola at Manchester City and Liverpool’s Juergen Klopp were supported more by their clubs. 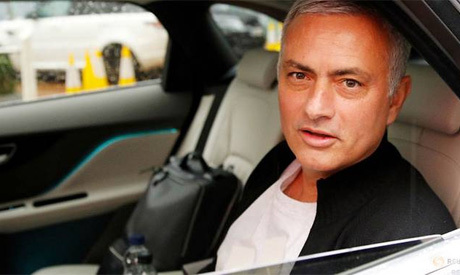 “I am happy with these three weeks, I am happy with this experience and I am going to have other experiences that normally I cannot have,” Mourinho said. “But I know me, and I know by the end of March I will be struggling with my happiness. “I will analyse things, I don’t like to speak about it. But I’ve refused already three options because I didn’t feel that it is what I want, so I’m going to be calm in this aspect. “In Liverpool, I think how many players were in Liverpool before Juergen arrived? No Alisson (Becker), no (Virgil) Van Dijk, no (Andrew) Robertson, no (Mohamed) Salah, no (Roberto) Firmino, no (Sadio) Mane, no Fabinho, no (Georginio) Wijnaldum, no (Naby) Keita, so this is work in depth,” he said. “In the case of Manchester City. In the first season, Guardiola was not a champion, it was really difficult and people were expecting a winning Manchester City. “They were coming already from winning period, champions with (Roberto) Mancini and (Manuel) Pellegrini. Some of the players were already champions twice, (Sergio) Aguero and (Vincent) Kompany, and in the first to the second season Pep made great decisions, but great decisions that were supported. “My arrival at Inter was perfect,” he said. “I left Chelsea in November and at the end of February I signed my contact at Inter. From February until June I was preparing myself for that job. In that four months I learned the language, studied the club and the opponents and the league.